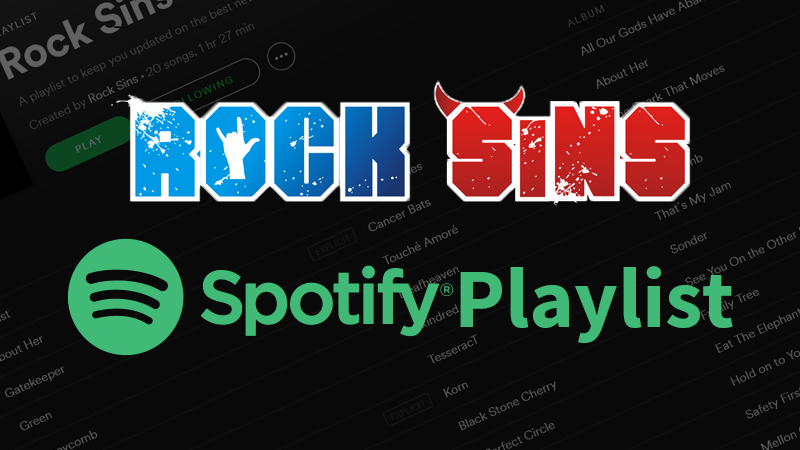 It’s time for another update to our Spotify playlist! This week we’ve enlisted the help of longtime Rock Sins contributor Matt Hill to help us pick some metal gems and he’s done us (and all of you) proud with some choice older offerings (including Machine Head, Hypocrisy, Scorpions and Testament). He’s also picked out some newer corkers from the likes of Coheed And Cambria, Soilwork and Winterfylleth. Alongside those, we’ve also got brand new tracks from the likes of Forever Still, Invisions, Children Of Bodom, In Flames, Borders, Mono and Crosslight, and more old favourites from Dream State, Killswitch Engage, Lamb of God and more. You can listen to the playlist below and also check out the full tracklisting! So please sit back and enjoy, and let us know what you think. We’re also happy to take requests for the future!